The Creeping Charlie is at it again. It’s more of a march than a creep, to be honest. 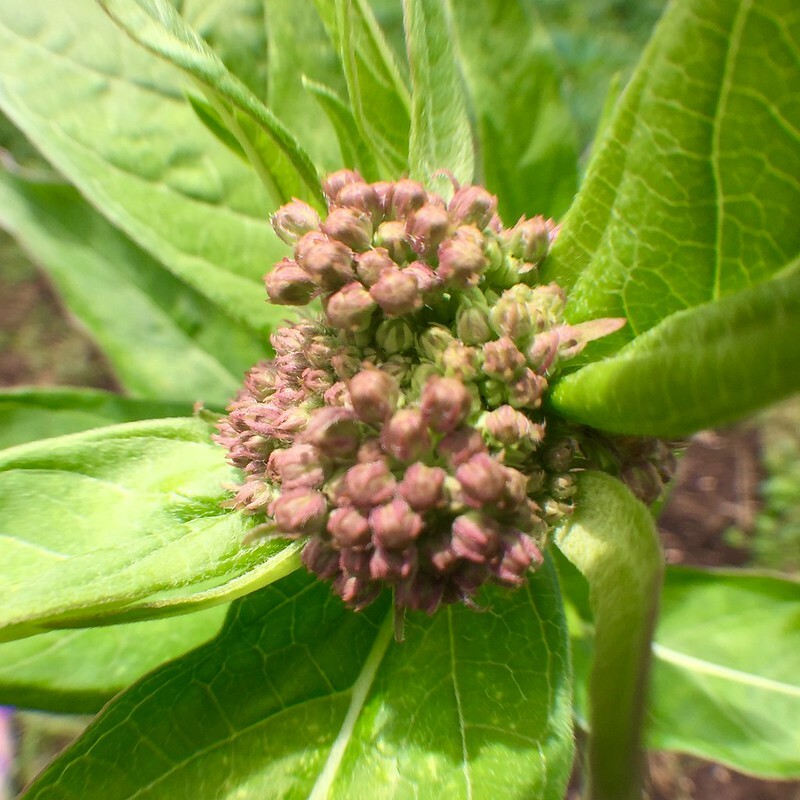 I pulled out a whole yard waste bin of it, uncovering, to my surprise, the milkweed I planted last year. This afternoon I took a bicycle ride around town, and was delighted by how many gardeners have included this vital Monarch Butterfly treat in their yards. As I pedal, I like to wave or nod to neighbors working on cars, mowing lawns, or having a glass of ice tea on the front step. It’s an old-fashioned gesture reciprocated more often by older folk than young, who double-take, smile and quickly glance away. I like to think it’ll catch on. Maybe I’ll just always be that crazy waving neighbor lady. I’m okay with that, too. Ii think the waving is a good thing. I’m sure it puts a smile on many faces!